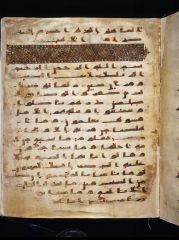 These folios are part of a 201-folio fragment of one of the oldest Qur’ans in existence, a manuscript that is generally accepted as having been produced in the early eighth century, and therefore no more than a century after the death of the Prophet Muhammad in the eleventh year of the Islamic era (AD 632). 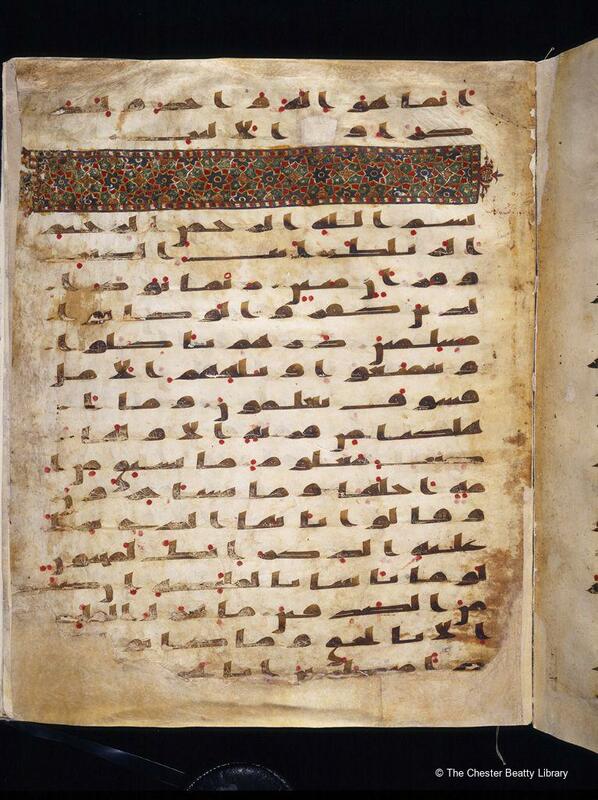 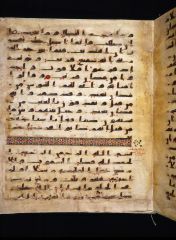 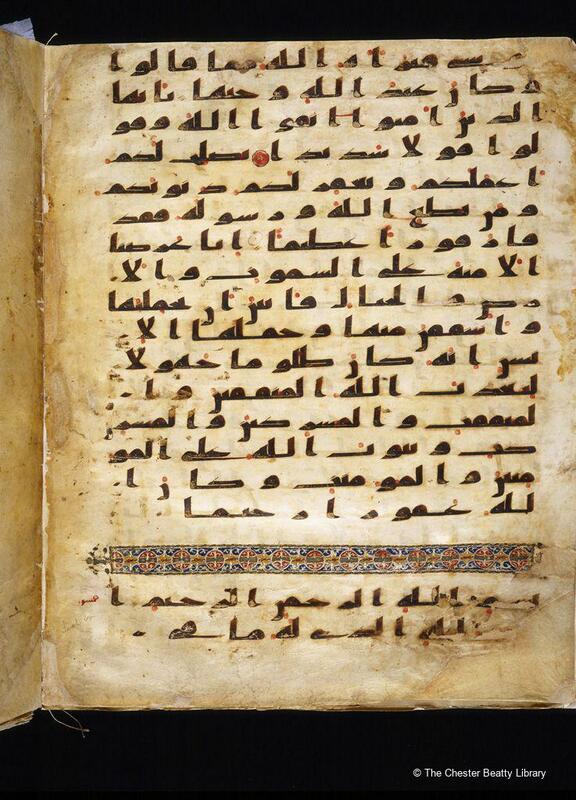 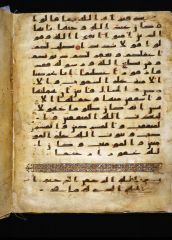 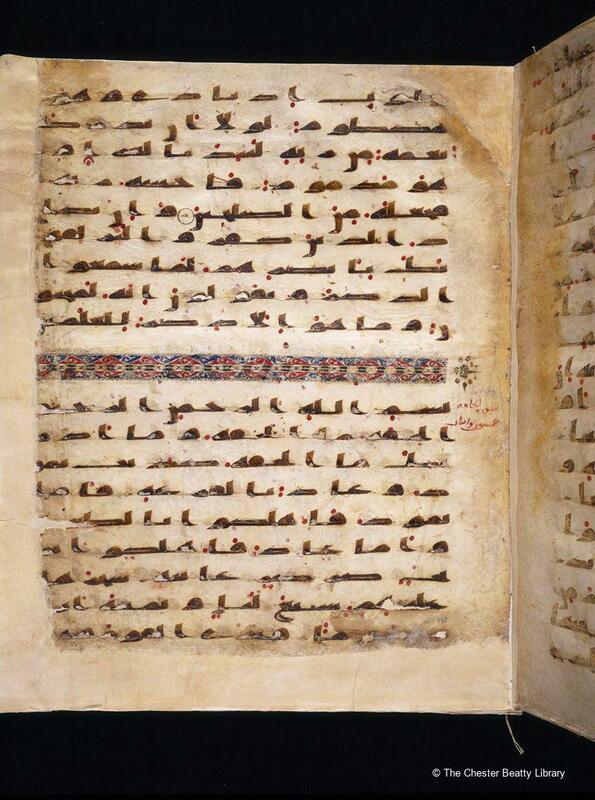 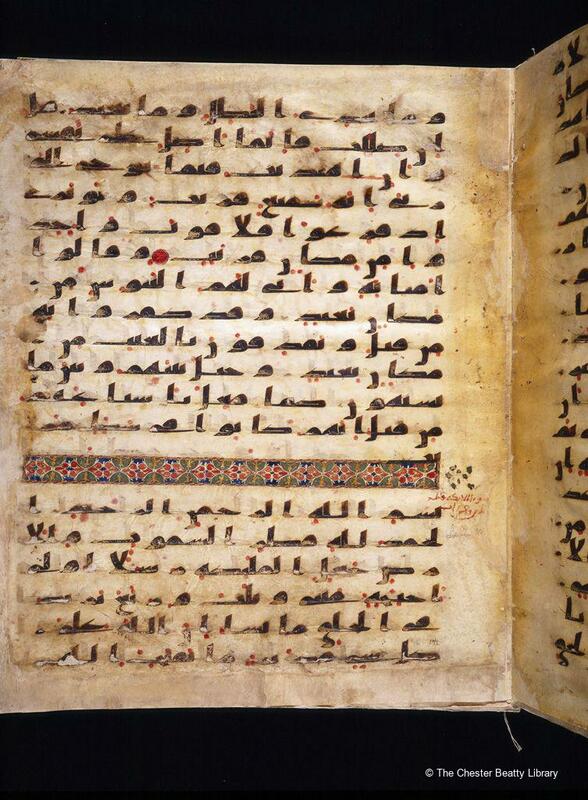 The text of the Qur’an is always in Arabic and on these folios it is written in kufic script on vellum. 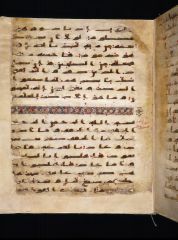 Colourful bands of mainly geometrical decoration in a palette consisting primarily of red, blue, green and yellow pigments mark the start of each new sura (chapter) of the Qur’an.